XM: Why I love it so much – HubNut – celebrating the average! I haven’t quite owned the XM for two months yet, but I have already covered 2000 miles in it. That’s hardly surprising as I’ve already driven it to Nottinghamshire, Cambridgeshire (twice), Herefordshire and Birmingham, as well as using it a lot locally. Low-rev power the secret to the XM’s success. Rarely needs to go beyond 2000rpm! There’s a reason for all of that use. I love it! 2CVs aside, I’m struggling to think of a car that has so exceeded my expectations – and it cost less than £400. Insanity. It just goes to show how messed up car values really are. Marvellous Italian styling, wonderful engineering – including adaptive suspension and 50mpg. Astonishing. What I have truly come to love about the XM is how relaxing it is to drive. The reason for that lies with its 2.1-litre turbo diesel engine. It’s a 12-valve adaptation of the Peugeot XUD engine, which entered production in 1982. That’s two inlet valves and one exhaust valve per cylinder, allied to a Mitsubishi turbo charger. It’s that turbocharger that is the key to my happiness here. 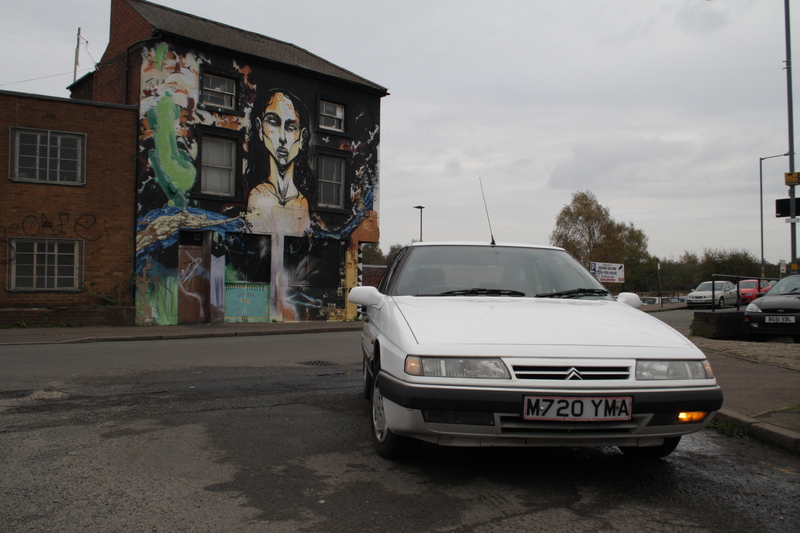 I’ve owned turbocharged XUDs before – a Peugeot 306 and two BXs – and what frustrates is how late the turbo cuts in. It gives a realistic power band between 2000 and 4000 rpm. You wait for it to kick in, things get blurry and then the power is gone. The XUD 11 (to give it its correct designation) behaves very differently. It pulls strongly from just 1500rpm, and doesn’t seem to suffer much lag. 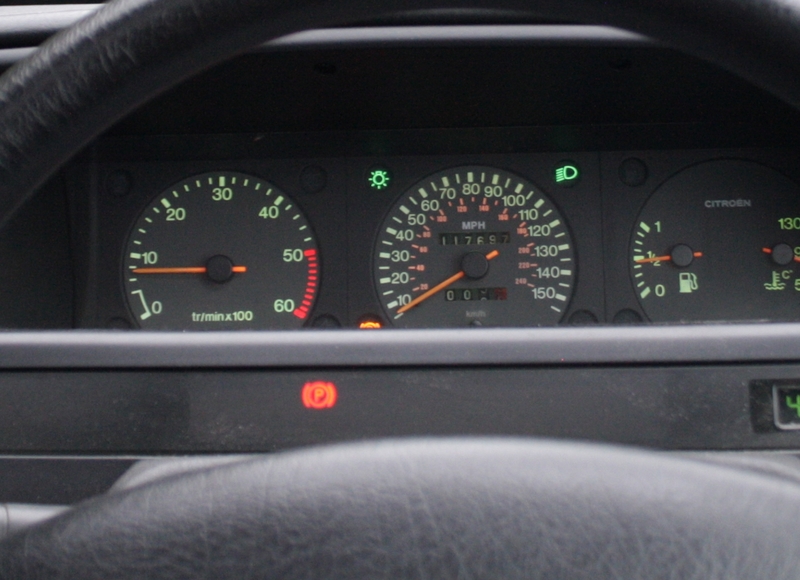 Even off boost, it pulls well enough, so I find that I can spend much of my time below 2000rpm. It drives in a very similar manner to a non-turbo XUD, but with the ability to accelerate uphill! I find it odd to look at press criticism of the XM when it was current. There was always a complaint that the turbo diesel wasn’t quick enough. Really? Who was finding it too sluggish? Ok, so the competition was moving on, but really, the 2.1 has plenty of power for on-road use. Sadly, Citroen had to respond and they cobbled together a 2.5-litre turbo diesel with 136bhp. It was pretty much unique to the XM, being a development of a van engine. It has two radiators and lots of other quirks. Personally, I’ll stick to the sheer simplicity of the 2.1. Being pre-EPIC, it even has a proper, mechanical Bosch fuel pump rather than the electronically-controlled Lucas effort. In my experience, simple is often the best way. it’s also the reason I love the low spec of my XM. No climate control, no warning panel flashing up incorrect error messages. It truly is marvellous. Of course, comfortable, composed suspension and keen handling certainly help. That means you can conserve momentum by cornering briskly. This avoids excessive braking and having to downshift. Add in comfortable seats and it is like wafting around in a comfy sofa. This week, I hope to revisit Sparrow Automotive so we can get the sills painted following recent work, swap out a strut top and perhaps change the rear brake pads. There’s going to be quite a bill, but with this car, it feels entirely worth it. I’m so glad that XM’s are still out there. I own V6 12v with 123kw automatic. It so good to drive it. And hydractive suspension is so smooth no words. I drive it gently, but when you press gas pedal you see different face. Keep up posting about you XM and best regards! A cheap-as XM got me into Citroens. Now I’m a Citroen nerd onto my second DS.. I need help.